"These combined treatments total a $900 value," Michelle Cullum, owner, says. "But this month, the 'Back to You' special is available for $499. Now that's something to get excited about it," she says. SAN DIEGO, Calif., Sept. 1, 2015 (SEND2PRESS NEWSWIRE) — Everyone is running back to school specials, but one local women’s anti-aging spa, Renew You Center, is excited to announce its September special, “Back to You.” It runs from September 1, 2015 through September 30, 2015. So many great treatments rolled into one, this “Back to You” special promises to deliver women a stress relieving, cellulite reducing, body tightening and toning program. * Eight 40-minute vacuum assisted massages called Synergie. These non-invasive deep massage treatments are FDA-approved for improved blood circulation and reduction of cellulite and circumferential body areas. * Eight 15-minute AromaTouch foot treatments. Essential oils are massaged along energy meridians and visceral contact points of the feet to help balance the body. * One 40-minute AromaTouch body treatment. This is designed to reduce physical and emotional stressors and to support a healthy body with an out-of-this-world essential oil technique. Essential oils are massaged along energy meridians and visceral points on the back, head and feet. Specifically, Synergie is a body sculpting tool that provides a proven non-invasive option for people who want to lose the appearance of cellulite, lose inches and smoothen skin without the risks, pain, or high cost of radical surgical methods. “These combined treatments total a $900 value,” Michelle Cullum, owner, says. “But this month, the ‘Back to You’ special is available for $499. Now that’s something to get excited about it,” she says. This special can be purchased at the Renew You Center or online at: http://www.renewyoucenter.com/store/. Renew You Center is an anti-aging spa located in the heart of Mission Valley in San Diego, Calif. The center was established in 2012 by licensed esthetician, Michelle Cullum. This warm and inviting haven has quickly become a San Diego favorite. Catering to an all-female clientele, this center specializes in helping women to redefine their body and rejuvenate their face by using the most current, cutting-edge treatments available. Media Contact: Michelle Cullum, Renew You Center, 619-725-3944, ewcullum@renewyoucenter.com. 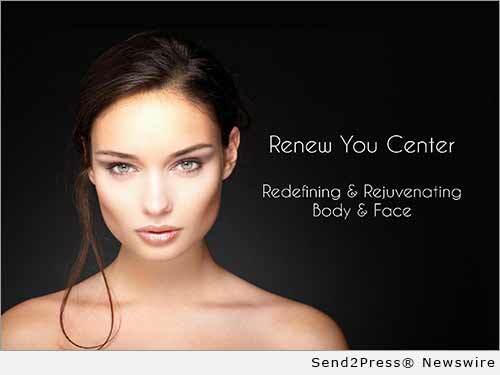 * Photo caption: Renew You Center, Redefining and Rejuvenating Body and Face. Original Keywords: Michelle Cullum, Renew You LLC, AromaTouch foot treatments, deep massage treatments are FDA-approved for improved blood circulation and reduction of cellulite and circumferential body areas Renew You Center San Diego California SAN DIEGO, Calif.
REFERENCES: Beauty and Spa News, Michelle Cullum, Renew You LLC, AromaTouch foot treatments, deep massage treatments are FDA-approved for improved blood circulation and reduction of cellulite and circumferential body areas Renew You Center San Diego California SAN DIEGO, Calif.